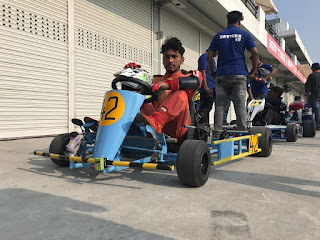 The racing team of AVCE "Team Luminary" have successfully built a kart racing car and have participated in the National level Kings Karting championship held at the Madras Race Track, Irungattukottai, Chennai. Among the 23 final participants, our team have been successful in winning the first prize in the Best cost and Business Plan category. 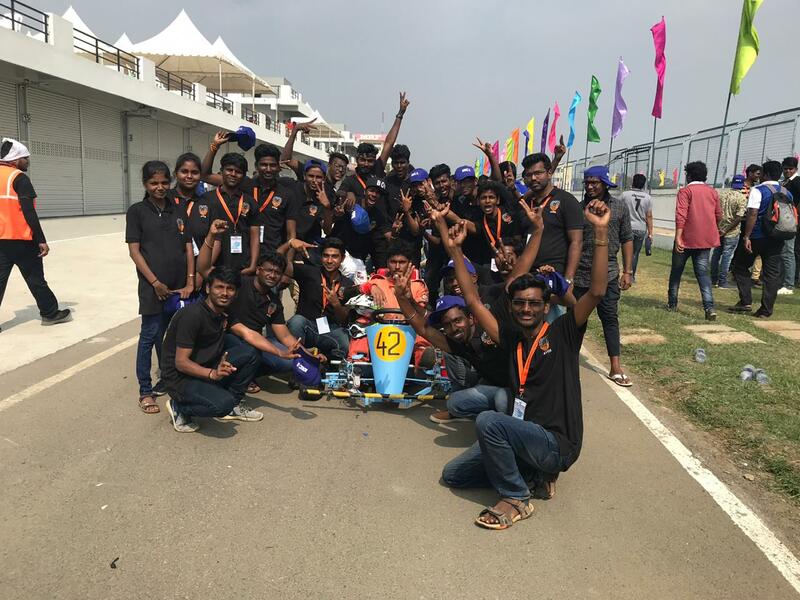 We at AVCE, give importance to enhance the engineering skill-sets of the students apart from their regular engineering curriculum and encourage them in their co-curricular projects and activities. This year our students applied for the National Level Kings Karting championship held at the Madras Race track, Chennai. 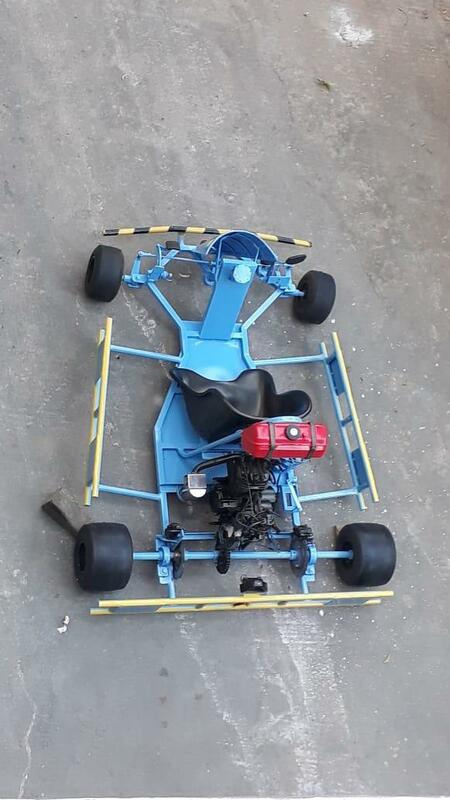 Our students built their own racing car from scratch based on the competition specifications and the racing car they built has been selected to participate in the Karting championship. The competition was held on the 9th of January, 2019 at the Madras Race track, Chennai. 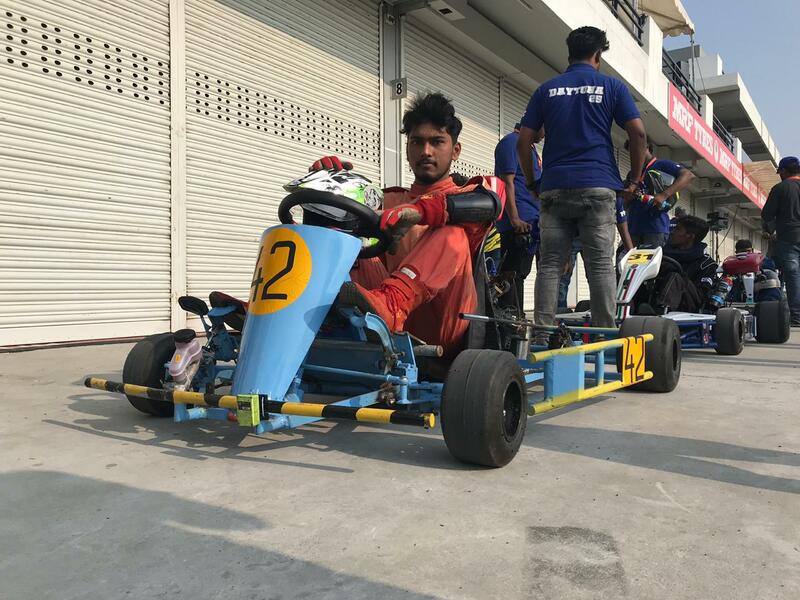 Our students successfully passed the various tests of the event namely : Technical inspection, Acceleration test, Brake test, skid pad test, auto cross test, rain test and Endurance test. We went on to win the 5th prize in the Endurance category and the first prize in the Best cost and business plan category. 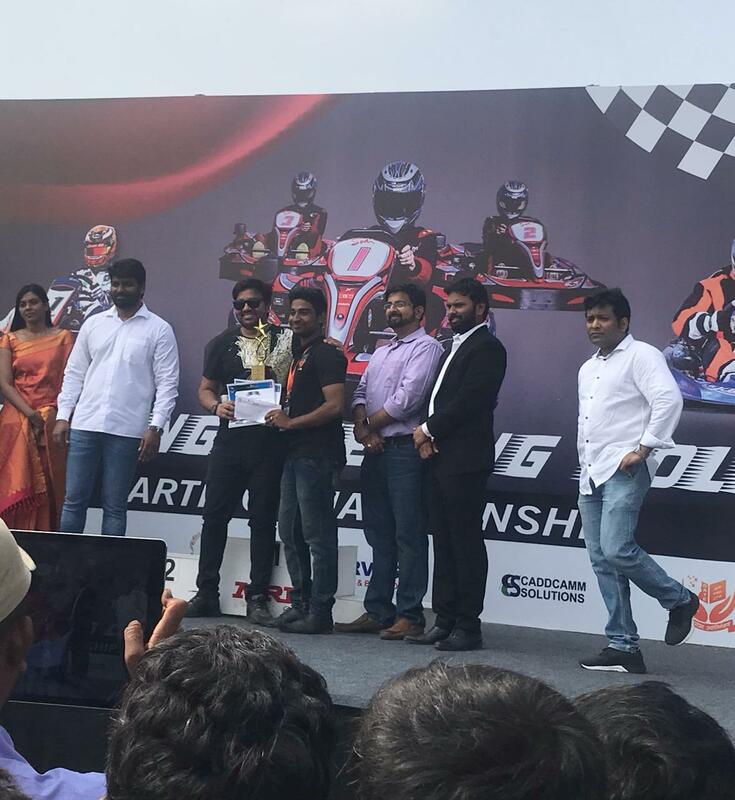 The captain of our team Mr. Abilash received the cash prize and shield from the chief guest Mirchi Shiva.